Words by T. H. Tooker. For it's cost me and Jack a fortune to get a big red nose. I tell you its tough when you get to be an old dead-beat. 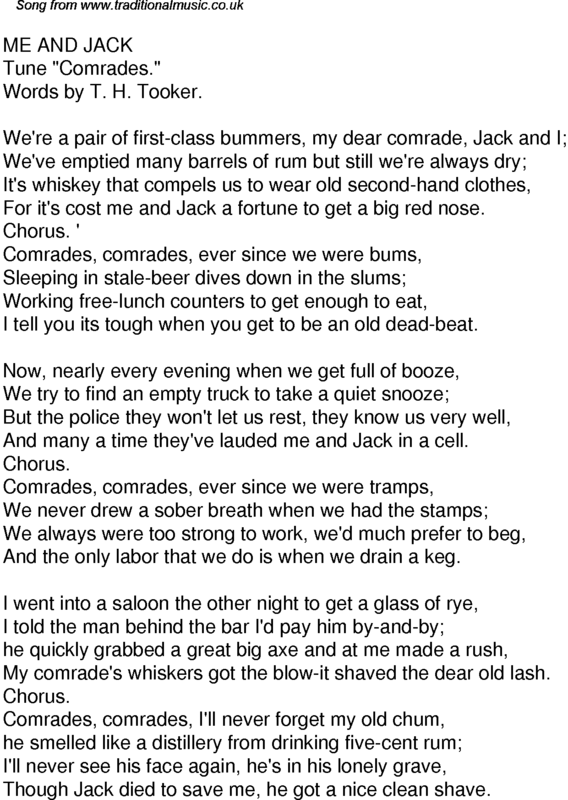 And many a time they've lauded me and Jack in a cell. And the only labor that we do is when we drain a keg. My comrade's whiskers got the blow-it shaved the dear old lash. Though Jack died to save me, he got a nice clean shave.